Home » Aviation » Opinion: What if They Held a Salvo Competition and Nobody Came? Opinion: What if They Held a Salvo Competition and Nobody Came? After Vietnam, the Department of Defense turned its attention back to the Soviet threat in Europe. Faced with an opposing force that was numerically superior, land-power-focused, and strategically positioned to overrun Western Europe, the United States initially turned to nuclear weapons to offset a battlefield disadvantage. When that advantage turned out to be short-lived (and somewhat dissatisfying), the DOD engaged in what is now called the “Second Offset Strategy”—a massive investment in guided munitions intended to counter a massed Soviet assault against Europe. That proved successful in Desert Storm, and was immediately emulated by potential adversaries. Today China has almost matched us in precision capabilities, and the race is on to find a “Third Offset Strategy” to overcome Chinese technological parity and numerical superiority—a far more dangerous military mix than simple numerical superiority. Part of the emerging strategy is focused on the “salvo competition,” a conjectural force-on-force exchange where the United States and China whale away with precision munitions until somehow the exchange is resolved in favor of the United States. That approach is a logical follow-on to the technology investment that brought us precision weapons. It is also deeply flawed, in that China is not the Soviet Union, and Asia is certainly not Europe. Against the Soviets, we were dealing with a military challenge where the Red Army path to victory relied heavily on pushing massed forces against the adversary and slugging away until something broke. Victory in a Pacific conflict will be granted to the side that has the better strategy and that takes better advantage of geography and distance—exactly the way that the United States prevailed in World War II. The key to winning the salvo competition is not to have one. It was a foregone conclusion that potential adversaries would eventually gain precision weapons. 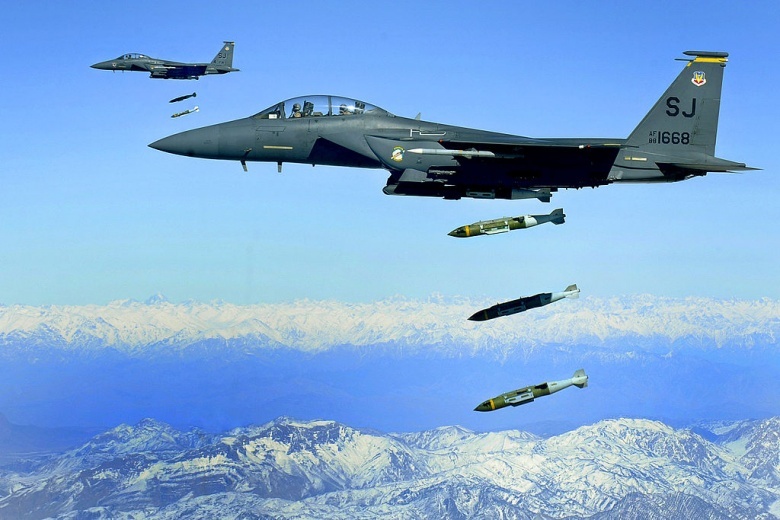 When the United States introduced the first Paveway I laser-guided bomb in combat in 1968, other countries were bound to follow. What makes the Chinese threat so dangerous is that they exploited a critical gap in U.S. capabilities, a gap that opened up as a result of the Intermediate Nuclear Forces Treaty (INF), signed by President Ronald Reagan in 1987. That treaty traded away U.S. nuclear-tipped Pershing II ballistic missiles and Gryphon cruise missiles in return for removing the Soviet nuclear equivalents, the older SS-4 and SS-5, and the new, triple-warhead SS-20. The treaty banned development, testing and possession of land-based ballistic and cruise missiles with ranges between 500 and 5,000 km. Air-launched weapons and weapons launched from warships or submarines were exempt. Crucially, the treaty only constrained the United States and the Soviet Union—not the People’s Republic of China. The Chinese jumped into the gap, now boasting seven indigenously developed land attack cruise missiles, two of which fall into the INF range. Moving in parallel was a similarly robust development of modern theater ballistic missiles. Every conventional ballistic missile today in the PRC inventory was fielded after the INF treaty, and by 2010 China possessed more than 500 missiles that neither the United States nor Russia was allowed to produce. The PRC also introduced the precision ballistic missile, making the missile threat substantially more dangerous than any system fielded by the United States or Russia—the Pershing II and SS-20 only needed to be accurate enough to deliver a nuclear weapon. As a result, the United States is at a substantial disadvantage in the Pacific. There is no credible way it can engage in a salvo competition in northeast Asia and expect any positive results. The Chinese have more missiles, more aircraft, and the ability to mass weapons against very few U.S. targets. There are only six U.S. fighter-capable airbases close to China—all of them on Japanese or South Korean territory. The nearest fighter/bomber bases on U.S. territory are in Guam, Hawaii or Alaska. By comparison, China has more than 60 military airfields just in the four military districts closest to Japan and Korea, and some of them are dug into mountainsides for protection. The reality is that China can put more weapons against fewer targets in less time than we have a hope of doing. The Chinese target analysis is easy—if they inhibit our ability to fly aircraft and dock ships, then the United States will be effectively neutralized in the western Pacific. Equally, there are two ways to fight China: stupidly or asymmetrically. 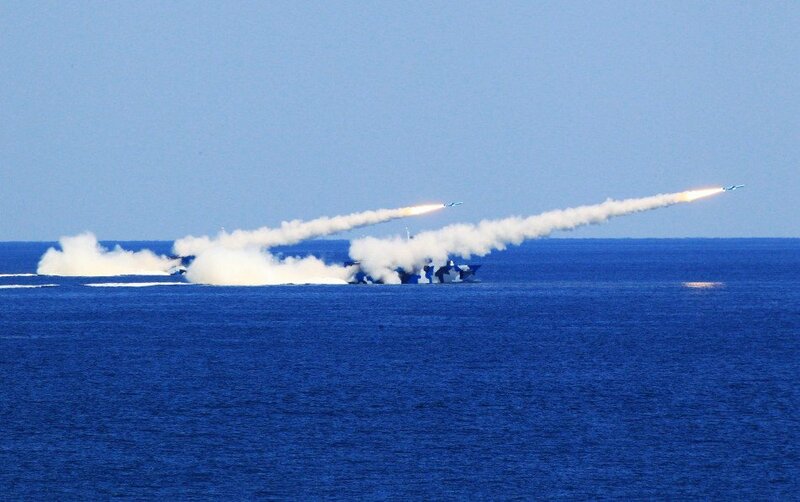 The salvo competition is inherently symmetrical, and is a poor choice for dealing with China. The deck is so deeply stacked in China’s favor that U.S. strategists would be foolish to meet them on their own terms. Given the geographical realities and China’s 28-year head start on theater ballistic missiles, the salvo competition is a losing game—an attrition battle which the United States historically has preferred to avoid. So we shouldn’t play it. 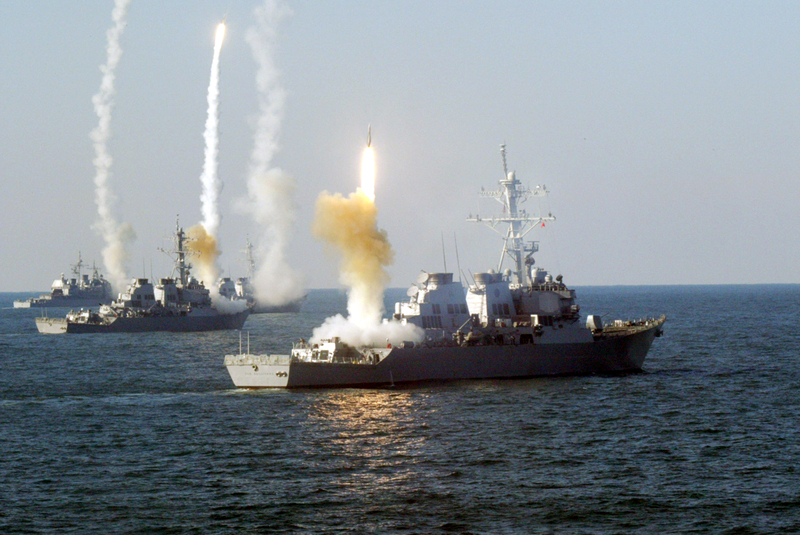 The salvo competition isn’t a warfighting strategy. It’s not even a good warfighting concept. Any time we envision going toe-to-toe with a peer competitor in their own back yard, we need to rethink the vision. In the Pacific War against Japan, we did not attempt to take on the Imperial Fleet immediately after Pearl Harbor, when we were materially and positionally disadvantaged. We raided, attacked maritime logistics, and engaged in an island-hopping campaign that bypassed island strongholds, only attacking where we could muster local naval and air superiority. Even when we could muster a massive superiority, we avoided major clashes, preferring not to engage in a symmetrical conflict. That is the template we should be considering for any conflict with China. China, like Japan, is an island nation. We don’t think of it that way, because it isn’t surrounded by water. But in a conflict, China has to come out to fight, through two island chains dominated by U.S. allies and partners, into waters that have been successfully dominated by the United States for 70 years. China’s entire foreign trade is based on maritime traffic, which accounts for over 96 percent of all Chinese international trade (by weight). Given its massive dependency on imported oil supplies, China is extremely vulnerable to an offshore control or strategic interdiction campaign waged from a distance, in a way that the United States is not. We need to rediscover how to fight a war without engaging in a technologically heavy attrition model. The best way to win the salvo completion is to avoid it. Col. Mike Pietrucha was an instructor electronic warfare officer in the F-4G Wild Weasel and the F-15E Strike Eagle, flying 156 combat missions; he took part in 2.5 SAM kills over 10 combat deployments. As an irregular warfare operations officer, he had two additional combat deployments in the company of U.S. Army infantry, combat engineer, and military police units in Iraq and Afghanistan. His views are his alone and do neither necessarily represent his service nor the Department of Defense.